I am a writer. Not surprisingly, I like to have my work read. Mostly I write tour descriptions, ad copy, newsletters or blogs encouraging prospective customers to book tours. But there are other uses for my golden prose, and it always surprises me that more travel professionals don’t take advantage of these opportunities to get to know their current and prospective clients better. In fact, many suppliers consider tour company newsletters as an intrusion, so I include only a selected few of my suppliers on my newsletter mailing list. These are the ones who "get it" and use this tool to learn more about the needs of their clients, thus making their hotel/attraction/service more appealing to the group travel market. Here's an example from an ABA appointment last January. A representative of a certain attraction went to the trouble of finding out how to meet my needs as a tour operator, and in this case, he found it by reading our newsletter. He offered to do custom tours for our group, day or night. You’d better believe that this attraction was the first to be included on an upcoming itinerary of his area. 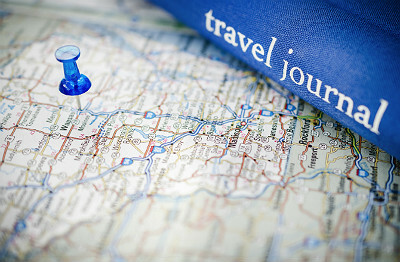 There are, in fact, many avenues available to you as a supplier for finding out just what a tour operator's needs are. Ask: Identify yourself as an ABA member when making contact for the first time, and ask what you can do to help him create a better tour experience for his clients. This approach will get you a lot farther than asking when (or worse yet, if) he has tours coming to your area. Do your research: Check the company's website and actually read the itineraries. Be inventive. If there is no obvious fit, create one! At another ABA appointment last year, the representative of a St. Louis attraction that was not included on one of our upcoming tours came up with an imaginative argument for including her attraction, even though on the surface it did not fit with the specific theme of the tour. I was totally intrigued with the idea and enthusiastically embraced the opportunity to add something fresh and new to my itinerary. Follow through: The above-mentioned St. Louis attraction did not and lost the sale. Use ABA resources both online and off: And if you are a tour operator who has not filled out your own company profile in detail, shame on you. The ABA marketplace is a great opportunity for tour planners and suppliers to meet and — hopefully — do business. But both partners must do their part in order to make a connection. Suppliers finding only a blank page for a prospective client will result in a wasted appointment for both of you. DMOs, on the other hand, are much more receptive to using company newsletters to increase their knowledge of tour operators. I don’t know if it's the absence of the profit motive or some other factor, but they are open to providing all kinds of information. They help with tour planning, passing along leads, joint marketing efforts and tracking down even esoteric requests (usually the case with me) like locating historic re-enactors, events and musicians who perform period music in costume. This cooperation, of course, works both ways. In the past two months, I have received requests from attractions whose funding was being cut or were faced with changes in operations, which would be detrimental to the visitor experience. These suppliers both asked me to write a letter to the powers-that-be detailing how my business would be negatively impacted by the proposed changes. I've actually done this several times in my career — sometimes with success, sometimes not — but I consider it my responsibility as a member of the travel industry to strengthen the partnerships we need to survive and prosper. Shebby Lee is a historian, writer and tour operator specializing in the historic and cultural heritage of the Great American West. She is a presenter at numerous history conferences and trade association meetings and is a regular contributor to ABA's The Insider online magazine. Her early training was in the theater and she served a tour of duty as an entertainer with the USO. She is also an admiral in the Nebraska Navy.